Conductive materials can accelerate and stabilize the conversion of organic substrates to biomethane via direct interspecies electron transfer (DIET). However, the potential effect of DIET on complex wastes, such as lignocellulosic biomass, is still unclear. 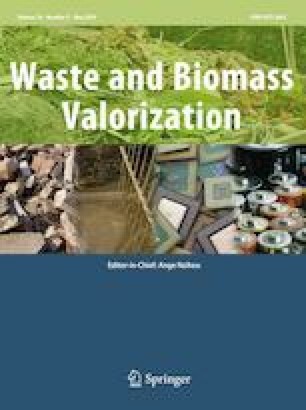 In this study, acetylene black (AB) or hydrochar (HC) were used to enhance the anaerobic digestion (AD) performance of vinegar residue. Results found that methane yield was increased by 50% and 232% with adding 1.0 g/L of HC and AB, respectively. Higher electron conductivity (2.06 S/cm) and specific surface area (74.31 m2/g) of AB indicated effective syntrophic metabolism as compared to that of HC. Interestingly, mono-digestion of AB and HC can also produce methane, with CH4 yield of 23.8 and 118.2 mL/g, respectively. Microbial community analysis showed that family Syntrophomonadaceae and Methanosarcinaceae were enriched after adding of AB or HC, suggesting that the DIET might be facilitated. Wenyang Guo and Yeqing Li have equally contributed to this work. The online version of this article ( https://doi.org/10.1007/s12649-019-00664-3) contains supplementary material, which is available to authorized users. This work was supported by National Natural Science Foundation of China (No. 51508572).